Welcome! 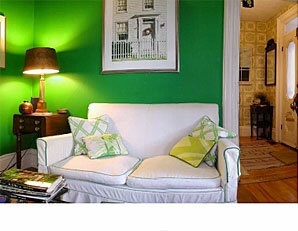 You've found Penury Hall Bed & Breakfast! 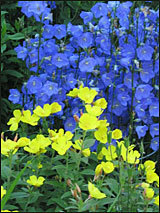 The very first Bed and Breakfast on Mount Desert Island, Maine, Penury Hall has been in continuous operation since 1982. Our B&B, conveniently close to Bar Harbor and Acadia National Park, is an historic property built in 1830 in Southwest Harbor, which has welcomed many through its distinctive red front door. 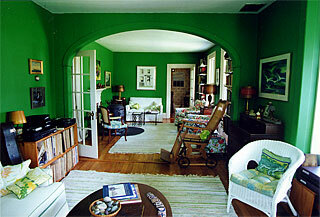 We enjoy sharing our love of fine arts, antiques, gardening, books and sailing with our six guests. Private baths, of course, and our scrumptious breakfast menu ranges from Eggs Benedict to Cinnamon Waffles, Penurious Omelet to Blueberry Pancakes and beyond, a different hearty morning meal served daily. Located on the "Quiet Side" of Mt. Desert Island, we are less than a half-mile from many of the attractions of Acadia National Park. Hiking, biking, kayaking, whale watching or just lolling on a rock by the ocean are a few of the many pleasures that await you. A grand selection of dining places, whether it be gourmet or lobster-on-the-pier, await your discovery. We look forward to adding you to our extended family! You will become an honorary member of our family while you are with us, but you don't have to do the dishes. Our Guests are Our Best Advertisements! 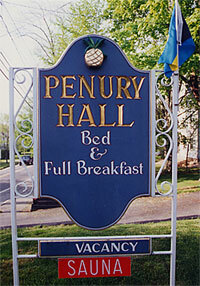 "Penury Hall is comfortable, quiet -- even though it's in the center of town -- affordable, and convenient. Gretchen is a great host: she really makes you feel like you're staying with a friend. If you want overwhelming luxury or cutesiness, it isn't your place. But if you want to feel comfortable and welcome, to be casual and to stay in a place that feels like home -- with great breakfasts, Penury Hall is a perfect choice. We've stayed there twice now, and been tremendously pleased both times. We've stayed in much more upscale and expensive places, and have never been happier than at Penury Hall." Click to read more visitor comments . . . Located on Main Street in Southwest Harbor (8 miles south on Route 102 from the head of the island), 99 yards past the blinking light on the right - toward Manset. Grey house, bright, cheerful red door, white porch trim. Stay with us for a while and let us introduce you to the many pleasures that this little corner of the world has waiting for you.